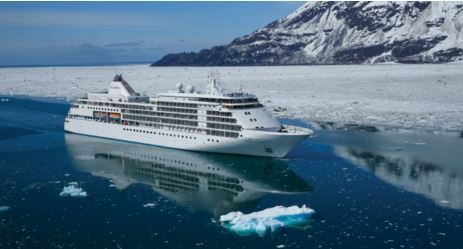 Enjoy Alaska aboard the Silver Muse in Summer 2019! With just 596 guests (and 411 crew! 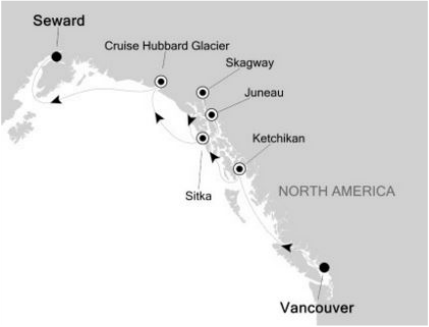 ), the ship can cruise closer to the natural beauty that the Alaska coast and Inside Passage are famous for. You'll enjoy a spacious suite with complementary butler service, exquisite dining, and a cruise experience like no other. Whether you choose to marvel at the horizons topped by the snowy heights from your raft on the Chilkat River or to hold your breath at the stupendous beauty of the Hubbard Glacier, the frozen landscape will overwhelm and astonish as you cruise through the gulf of Alaska. This is a journey of breathtaking encounters with the natural world. Per person fares (double occupancy) start at $4,320, with the 10% early booking bonus. Remember that Silversea fares are all-inclusive: fare, taxes, port fees, gratuities, beverages, room service, butler service, mini-bar, yoga classes, gourmet dining, Wi-Fi... the list goes on. Click the link for more details. 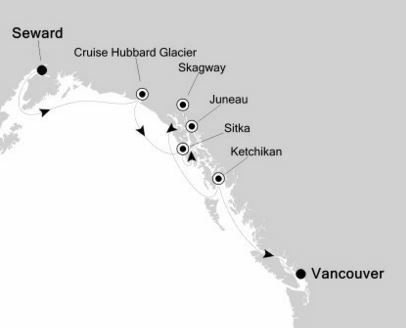 Also in 2019: The Silver Muse is sailing two round-trip Alaska cruises out of Vancouver in June, with per person fares starting at $5,400 for these 10- and 11-day voyages. Or book the 21-day repositioning cruise from Vancouver to Tokyo that departs on 05Sep19 with fares starting at just $7,900. Please contact us for more information!